Hello lovely blog friends! I had some homework to do for my Blog with Pip course over Saturday and Sunday – take five (or more) photos of my weekend and write a post (or not) about it. So here are my five photos and my little post! How was your weekend? Mine was pretty chipper! Did you know that Saturday was ‘Granny Square Day’? I did not know this until I was scrolling through Instagram. As luck would have it, I had been happily ‘granny squaring’ away during the day so I felt like I was part of a woolly gang! I’ve started on a new blanket for kogo. I’ve written about kogo before here. It has been SO cold in Melbourne this year that supplies of winter woollies for the disadvantaged in our community have run very low. So armed with plenty of yarn and a lonely crochet hook, I started hooking away! Maybe you want to help out too? 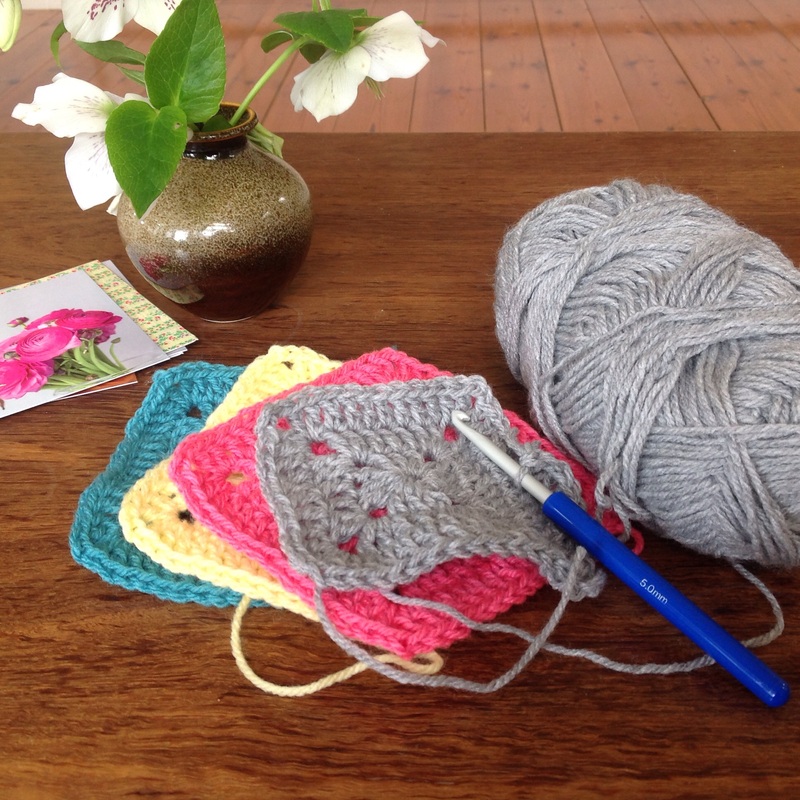 I’m making a solid granny square blanket inspired by the beautiful work of Bec at handmade and home. I love Saturdays for the extra reading time they provide! 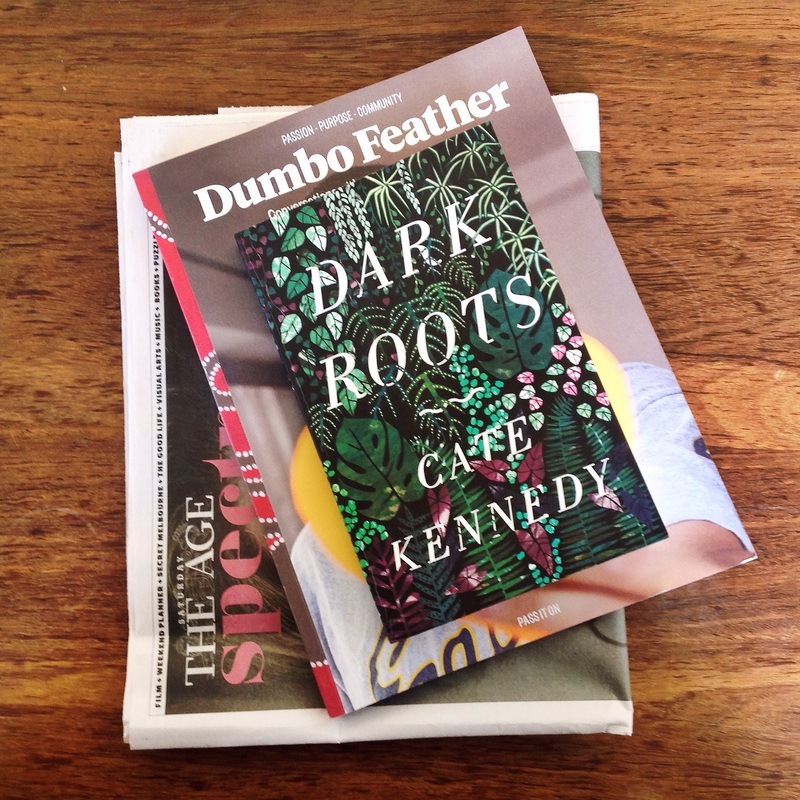 I picked up the latest issue of Dumbo Feather when I popped down the street to buy lunches and coffees. (Our kitchen is still under construction so I have been resorting to bought meals WAY more than I normally would!) I really enjoy Dumbo Feather for the long form interviews it publishes with people who are doing inspiring things in their communities and wider society. Do you read it too? Maybe you have other magazines you find inspiring? I think that there’s heaps of good stuff being published now but the purse strings only stretch so far so I try to rotate my reading material around a bit! But not all weekend can be spent happily crocheting away or with my head in a magazine or book. Domestic duties do call, so whilst I plugged away at ironing the work clothes and school uniform for the week, I popped on Serial (I know, I’m playing serious catch up!) just to make the time go that little bit faster. Did you listen to it at the time it came out? I’m finding it really intriguing. Does this work as an attractive ironing photo? I’m not sure one has ever been done before! 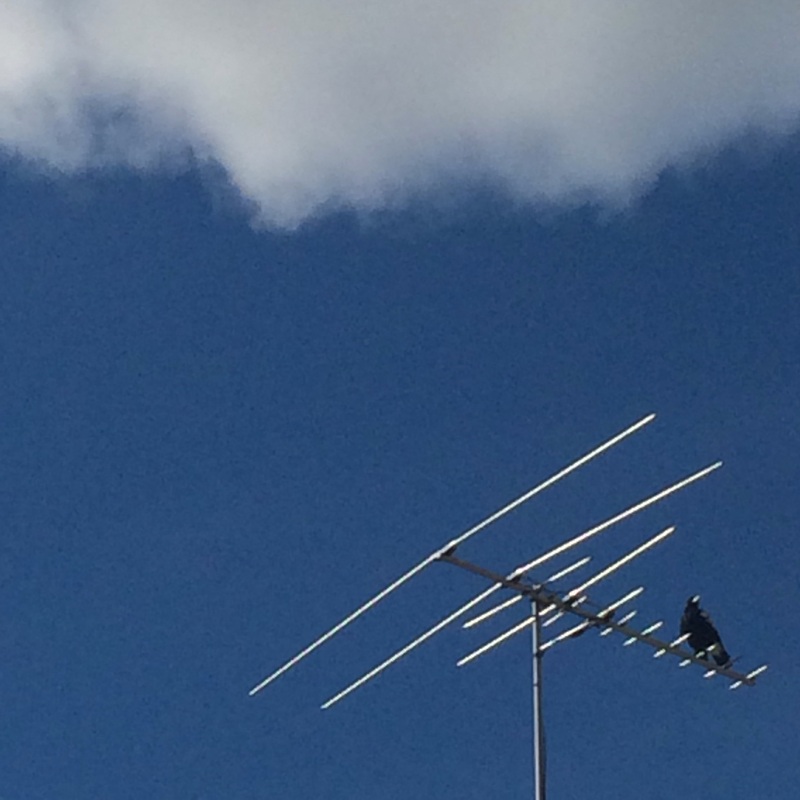 Sunday saw the chill in the air that has dogged us Melbourne peeps for just a little too long, lift and there were blue skies above! Lovely! The man and boy headed off to the football and the girl and I headed into the Melbourne Uni open day. Who should we bump into on the South Lawn but the lovely Emily of squiggle and swirl! Very happy to have an unplanned catch up! The girl came away enthused by what she had seen and put her head down in her homework for the afternoon. And we squeezed in some driving lesson time too! 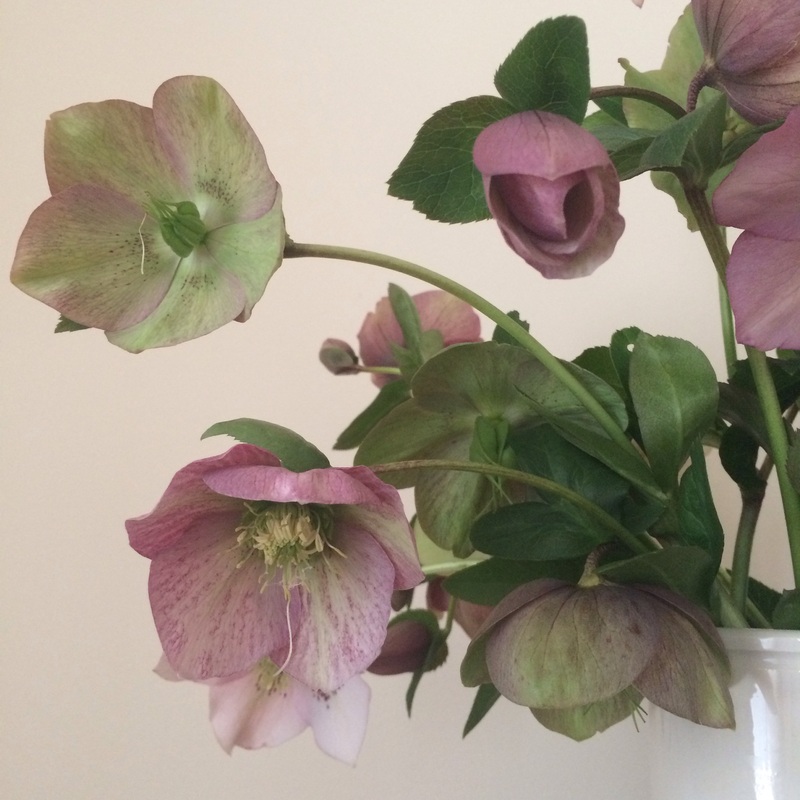 With the skies still shining, I ventured into the garden to cut a bunch of hellebores to add some soft, dreamy colour to our bedroom. Aren’t they gorgeous? How about you? Did you do anything interesting? Or was it just about getting ready for the coming week? < Previous Take a breath, my little introvert! I also crocheted some granny squares on Saturday, I’m pretty slow,I’ll probably be a granny when I finish my lap blanket! It was so lovely to bump into you on Sunday, what were the odds. Isn’t it just the best when you see your children start to get a glimpse of what they might want to do next and feel excited and then more motivated! Yay for open days ( I even picked up some bits and pieces for collaging). It is exciting when they can see a world beyond school and to subject matter that specifically interests them. Was very pleased to spy you doing the mum photo thing too! Yes I’m an expert at embarrassing them ! I’d just been admonished for doing the same thing! Fortunately mine will be able to stay at home Jasmine! Must admit I did do a mad scramble over a bench suit when I saw Emily! Couldn’t let a catch up opportunity escape! Your weekend sounds very similar to mine Carolyn. My son and I headed off to a university open day here as well and we also did the driving lessons. One of his friends actually went to the Melbourne Uni open day and we were very nearly talked into going as well. How funny would that have been if we’d all run into each other? He is growing up a bit too quickly for my liking. So funny Deb! Did open day help? Does he have any idea which direction he wants to head? Absolutely no idea! I was trying to sway him to look at our local Sunshine Coast Uni, so he doesn’t have to leave home but it’s not good enough for him, apparently. He’s quite keen on Melbourne as a matter of fact. It apparently has Aeronautical Engineering, which he’s considering. We’ll see. It’s such a difficult time. Ooh that’s a bit of a scary thought! Yep, my brother-in-law did aeronautical engineering RMIT. Hi Isabel! I feel it would be more environmentally responsible to read Dumbo Feather online but I like the feel of the paper! My daughter has her eye on Arts too (my son is first year Arts this year). She’s interested in politics, screen studies and linguistics – think that might be up your alley! Lots of opportunities to explore once you’re into the tertiary space. Lovely photos! I am in the middle of making a ton of granny squares, but I have paused to start a knitting project, always a bad idea because as we all know, neither will get finished! I would love to get hold of a copy of Dumbo Feather, I wonder if our international newsagent can get me a copy? Mmmm, must ask them. How fab to meet up with Emily! Thanks Clare! Oh yes, sometimes I get a bit bored 3/4 the way through a project and then swap to something else. Not good! I know you can read Dumbo Feather online but it’s not the same as holding that lovely hard copy is it? You weekend sounds great, I do love a bit of extra reading time! I hadn’t heard of kogo, but it sounds awesome, I’m definitely going to look into it! I listened to Serial at the time, and it’s riveting. Enjoy! (in as much as you can enjoy a murder story…) You get definite points for your attractive ironing photo! 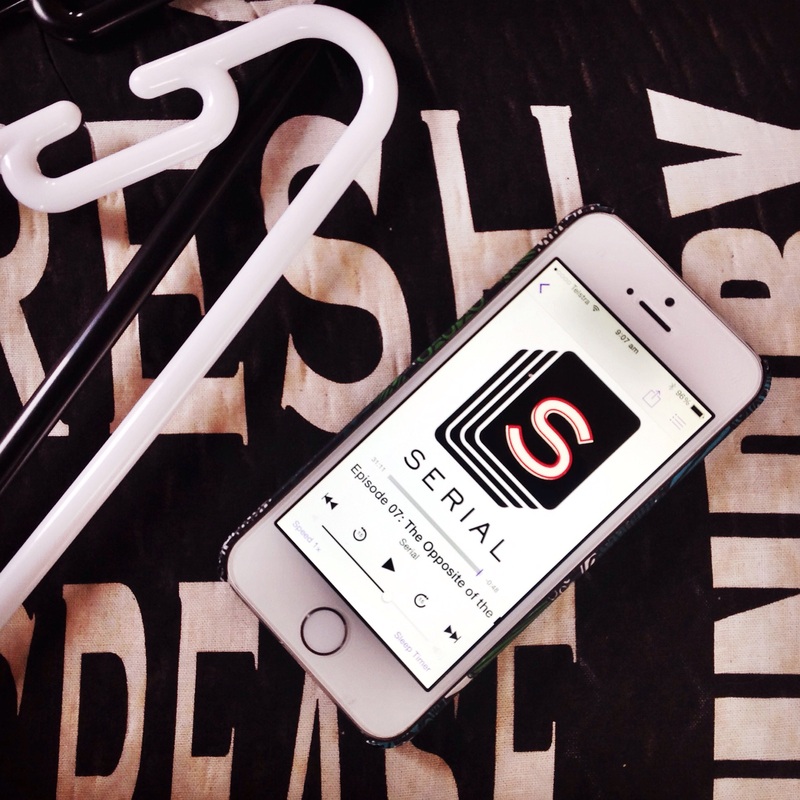 I loved the way you matched the black and white lettering the Serial logo. Nicely done! Thanks Cath! Finished listening to Serial the other day. It was riveting! Fotuotously co-ordinated hangers, ironing board cover and Serial logo! Oh and I was reading your blog the other day, Cath, and loved it! Thought I’d followed it but just noticed it doesn’t seem to have connected. Will try again. Your weekend sounds so lovely. Crochet and books? Those are the best things. Indeed Laura! Thanks for popping by!